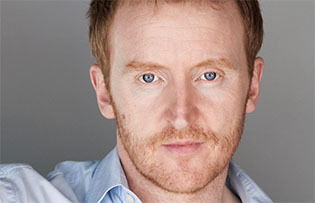 Tony Curran rose to fame in the BBC television series This Life. Since then, the Scots star has appeared in a number of major film and television roles. Some of his roles have included Rodney Skinner (The Invisible Man), an original character in The League of Extraordinary Gentlemen. To portray the Invisible Man, he donned a special suit that turned him into a walking bluescreen (according to his commentary on the DVD, he looked like a "smurf on acid"). Curran also played vampire roles in Guillermo del Toro's Blade II and Underworld: Evolution. Curran played Sgt Pete Twamley in the critically acclaimed ITV series Ultimate Force, which became one of the most watched television shows in the world, being broadcast in over 100 countries. Curran left Ultimate Force in 2005 after his character was killed off at the beginning of season 3. Curran is active in participating in marathons to raise money for charity. He is a frequent and popular participant in the annual Dressed To Kilt event in New York City, run by the organisation Friends of Scotland in celebration of Tartan Week. He is also a keen fan of Celtic Football Club. In April 2009, Curran revealed to the Daily Record newspaper that he is playing the role of Lieutenant Delcourt, in The Adventures of Tintin: Secret of the Unicorn, which was released in 2011. Curran played the painter Vincent van Gogh, in the Doctor Who episode "Vincent and the Doctor", written by Richard Curtis. He also made a cameo appearance in "The Pandorica Opens." Curran voiced the character of Captain MacMillan in the 2011 video game Call of Duty: Modern Warfare 3. Curran currently plays the role of Datak Tarr on the Syfy series Defiance.